The Iron You: (I Can’t Believe It’s Meatless) Mushroom Lentil "Meatloaf"
(I Can’t Believe It’s Meatless) Mushroom Lentil "Meatloaf"
I’m sorry guys for the long recipe title. I know that it’s annoying and I tried every which way to shorten it but I wanted it to describe the awesomeness of this dish, hence the long title. But you see, when the process of perfecting a recipe takes time (a lot of time) and what normally takes a couple of days of testing ended up taking over a week to finally hit the mark, you want to showcase it in all its glory. 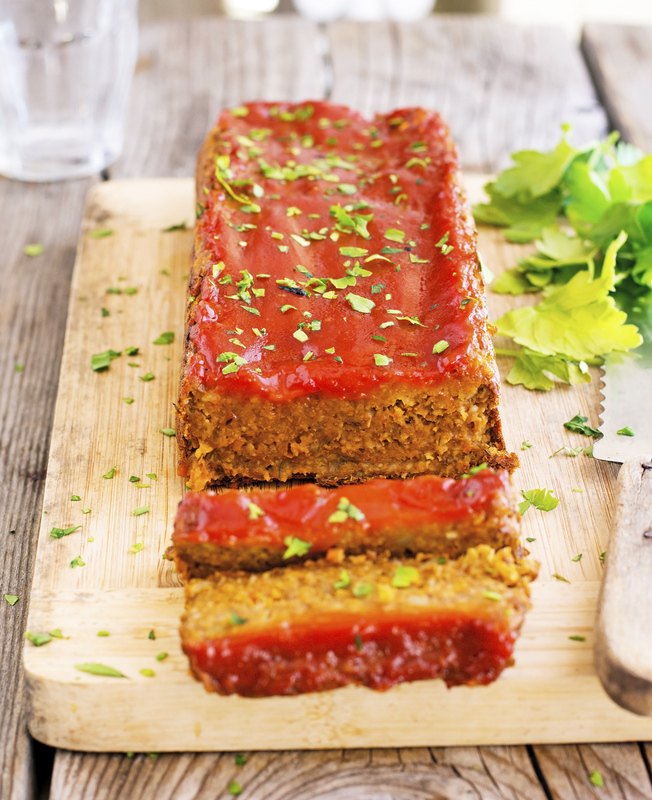 So there you have it: (I Can’t Believe It’s Meatless) Mushroom Lentil “Meatloaf”. A title that requires parentheses and quotes. To convince you that this recipe belongs in the awesomeness department and that you need to make it asap, I’m going to tell you what happened Sunday night when I served it to a bunch of meat-eaters friends. I didn’t expect that each guest would have two or more slices and one asked for the recipe. In my world one slice means being nice to the host. Two or more slices and the recipe request? It means the food’s good! What I think it’s really cool about this recipe is that it’s like having mom’s meatloaf minus the meat plus a bunch of good stuff such as lentils, veggies, and oats. 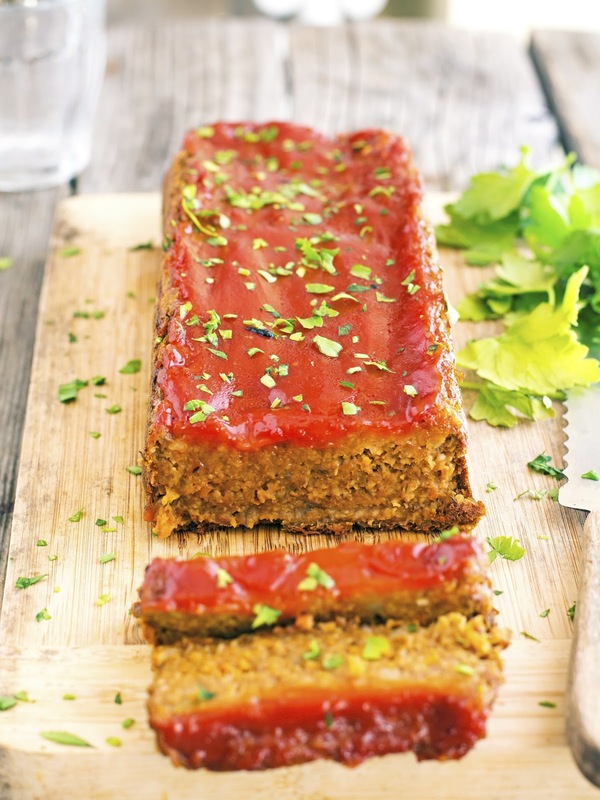 This (I Can’t Believe It’s Meatless) Mushroom Lentil “Meatloaf” is truly amazing and full of flavor. And though it’s not the prettiest thing to look at — a meatloaf could never be cupcake pretty, if you know what I mean — it's so delicious, it will knock your socks off. So believe when I say that you should give this recipe a try, you’re going to love it, big time! 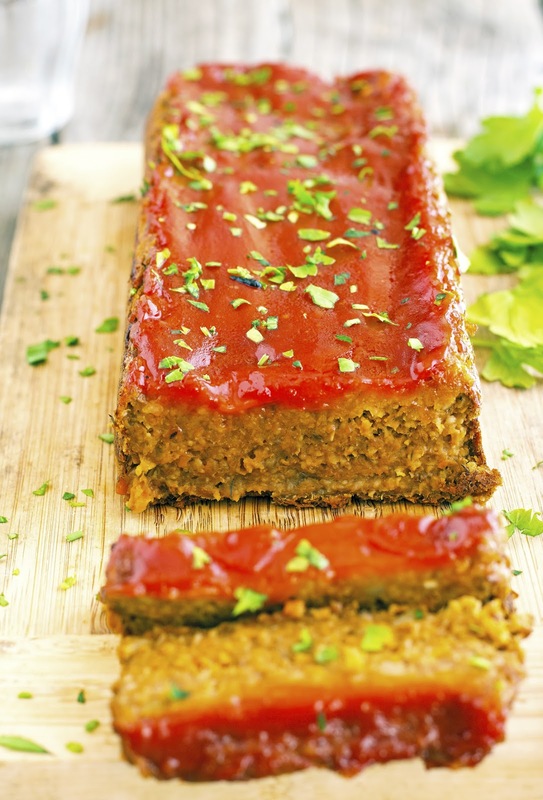 (I Can’t Believe It’s Meatless) Mushroom Lentil “Meatloaf” Print this recipe! Preheat oven to 375°F (190°C) and place a rack in the middle. Line a loaf pan with parchment paper and set aside. In a small bowl combine glaze ingredients. Set aside. Heat olive oil in a large skillet over medium-high heat, add onion, carrot, and celery, and sautè for 6 minutes. Add sliced mushrooms and sauté for further 12 to 15 minutes, or until mushrooms start releasing some of their liquid and begin to brown. Transfer mushroom mixture into the bowl of a food processor, add lentils, oats, soy sauce, tomato paste, Worcestershire sauce, thyme, salt, and pepper. Transfer mixture to a large mixing bowl and stir until the ingredients are fully combined and hold together well. If it doesn’t, add a bit of water one tablespoon at a time. Scrape mixture into the lined loaf pan and press it down. Cover the loaf with half of the glaze and bake in the oven for 30 minutes. Remove from the oven, cover with the remainder of the glaze and bake for an additional 10 to 15 minutes. Let cool 10 minutes before removing from the pan and slicing. One serving yields 216 calories, 5 grams of fat, 35 grams of carbs, and 9 grams of protein. You can use breadcrumbs (also GF breadcrumbs) or almond flour instead of the oats. They should both work! Really liking the meatless recipes! This is so good it doesn't even feel like meatless! Hey, d'you reckon this would work as burger patties? Seems like it would, but maybe baked in the oven and not fried (so flipping doesn't make them fall apart). Amazing and so easy to make! Tried it last night for the first time and it turned out perfectly. Thank you for this awesome recipe!